Finally, it’s the end of the week. But what have we been reading and sharing around the office? Here’s a quick round up of the content that grabbed our attention. Pop back later to see what our UK and US offices have being checking out as well. Since Pinterest’s debut, a bunch of copycat sites have flooded the web in China. The most recent clone called Buykee takes the platform one step further, showing-off luxury items and also adding an e-commerce aspect which Pinterest currently lacks. Has the review of Australia’s media landscape missed a crucial point? Soon, really soon, perhaps this year, or perhaps in five… digital will be big in Indonesia. Advertisers and marketers alike say that Indonesia, the world’s fourth largest Facebook and sixth largest Twitter market has so much potential. So what is holding things back? The number of businesses outsourcing traditional marketing functions is expected to jump over the next 12 to 24 months from 9% currently to 21%, according to IBM’s Australian Business Process Outsourcing (BPO) Research 2012. Overseas expansion and global-player status may no longer be a pipedream for China’s Internet companies, as several have already taken steps abroad and a small number have tasted a modicum of initial success. Destination NSW, via agency Banjo Sydney, has launched a new campaign promising visitors they’ll “Love every second of Sydney”. DeNA is one of a number of mobile gaming firms under pressure in Japan – where authorities look set to rule a lucrative social game genre illegal – but, casting that aside, the company has announced record annual revenues. The opening sessions of GMIC 2012 were, unsurprisingly, all about mobile. Tencent CEO Pony Ma and Xiaomi CEO Lei Jun are both men with extensive experience in PC-based web development, but if the two of them agree on one thing, it’s that mobile is the future. Quarterly Tech Briefing by Scott Shaw, Head of Technology, and Jason Furnell, Principal Experience Designer from ThoughtWorks Australia. Fresh from admitting that it hasn’t fully implemented China’s new rules for microblogs, Web giant Sina is set to introduce a ‘user contract’ for its popular Twitter-like Sina Weibo service at the end of May, as it continues to battle to control sensitive information on the site. Over the past few years I must have heard the phrase ‘everyone is a publisher nowadays’ a thousand times or more. It’s largely accurate, due to the rise of social media, but I think we are mainly ‘curators’, as opposed to ‘publishers’. 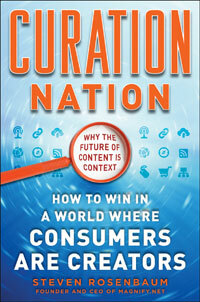 Content curation is something that many of us will be familiar with, even if we don’t think of ourselves as curators. We instinctively find and share interesting content with our personal and professional networks. We follow others who share the kind of links that engage and entertain. Yesterday the clearly charming Adam Vincenzini described my Twitter feed as “all killer and no filler”. I know perfectly well that a bunch of my tweets can be filed under ‘utter rubbish’, but I must be doing something right. As such here are my 17 tips to help you become even better at content curation, with one eye on Twitter, my platform of choice for sharing. 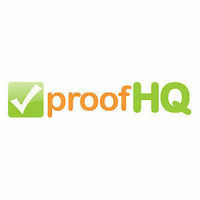 ProofHQ aims to help marketing teams collaborate on content by digitising drafted design work, print ads, web pages, etc. I’ve been asking CEO Mat Atkinson to explain more about the company, its business model, and future plans. Once again we’ve put together the most senior and influential job moves in the US. This time we cover influential moves from Google to Ifeelgoods and Dell to SAP AG, another senior resignation at Best Buy, new hires at American Express and Eloqua and the loss of T-Mobile USA’s CMO.